Marcus Lemonis is Looking For “The Partner”. 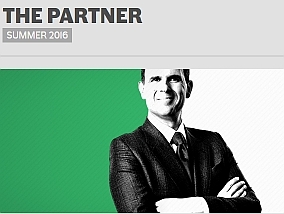 Home The Partner Marcus Lemonis is Looking For “The Partner”. I’m Estatic we’ll continue to see Marcus on TV even after the profit. CNBC prime show, The Partner featuring Marcus Lemonis will debut in summer 2016. You bet your behind we here at theprofitfans.com will be following this new show and providing a platform for all you fans to discuss and comment the episodes here together. Based on the Apprentice format, this new reality-tv show will be the platform for Marcus to find a partner to manage businesses he invested in the profit. In the end, a candidate will win the show and be chosen by Marcus. So, if you think you have what it takes to become a business partner of Marcus’ as well as having a good TV personality, this is your chance to get on the partner. Click here to signup for The Partner Casting. Good luck to you all competing and we look forward to reviewing your performance on the show. For the rest of us who will be watching from home, mark your calendars and keep checking back on this page for updates. Thanks for posting this. I also love the show. Not surprised by the outcome and who won. The online voters spoke and this was all about viewers which the producers obviously feel they need and a pretty face on a not so bright blonde helps. I used to like this show. I won’t be watching this in the future. I have a new business, We did s hundred thousand our first year.how do I present my company,to you for investment? ?